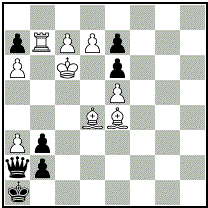 2nd threat seems to spoil composer's intention. 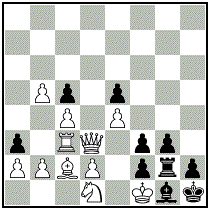 White tries shut off one White guard, Black defeats by shutting off the other guard - Grimshaw tries. 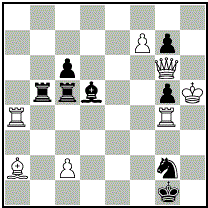 1.Sfe5/Sxg5? 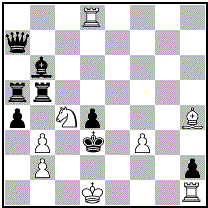 Ld3/Td3! 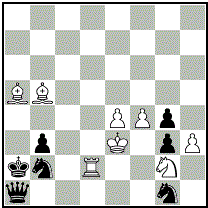 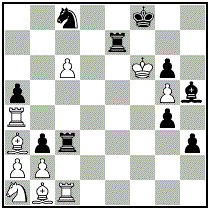 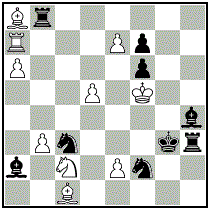 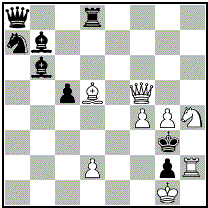 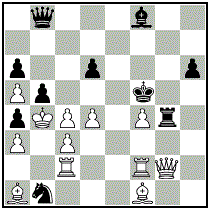 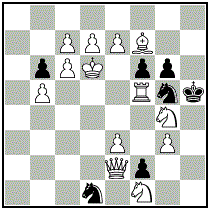 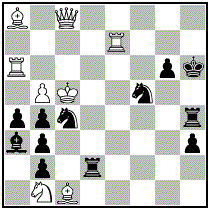 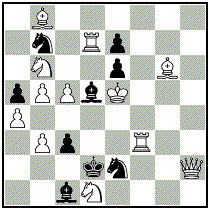 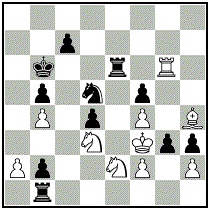 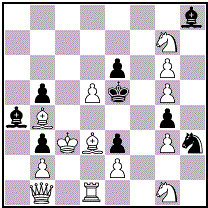 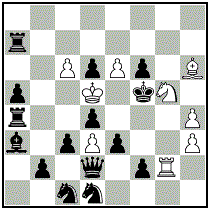 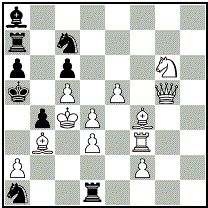 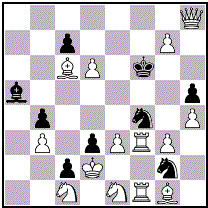 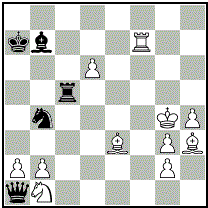 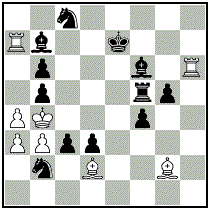 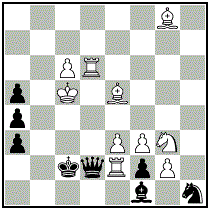 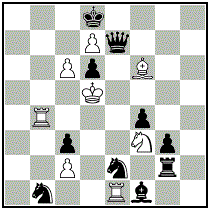 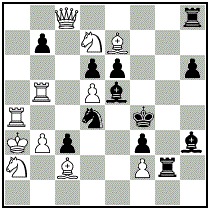 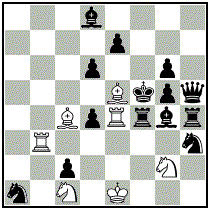 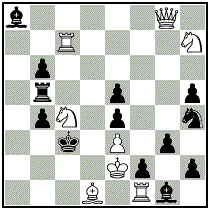 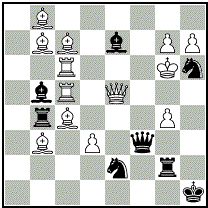 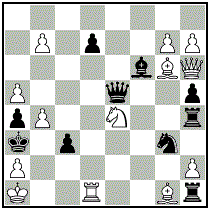 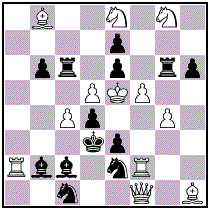 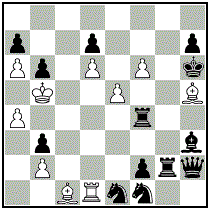 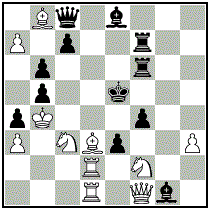 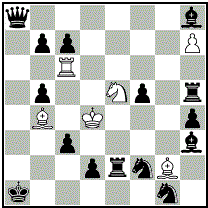 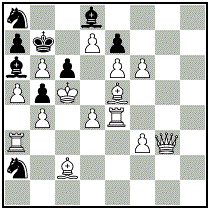 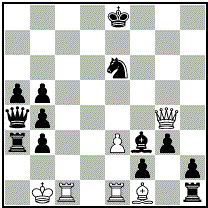 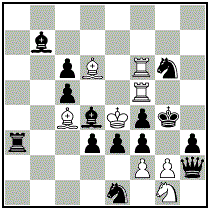 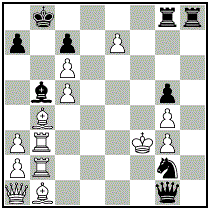 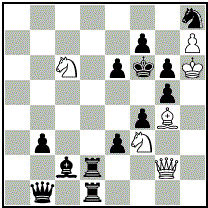 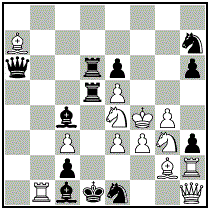 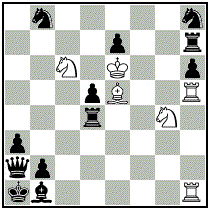 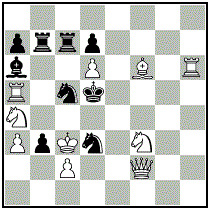 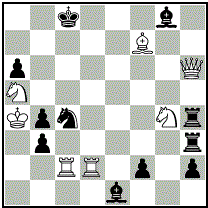 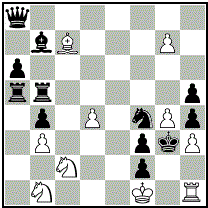 2.Sd7/Se4# 1.Dh3 (2.Lxe6 3.Lxf7) Td6/Lf5 2.Sfe5/Sxg5 3.Sxf7 but NO SOLUTION 1...Td8! 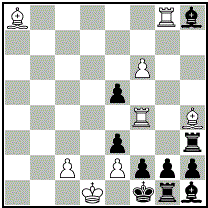 2...Tg8! 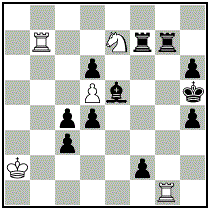 Composer's idea - mating moves are the same as defeats to the tries. 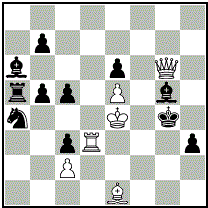 1.Sxe5/Sc5? 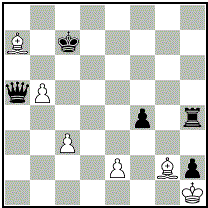 Lg4/Tg4! 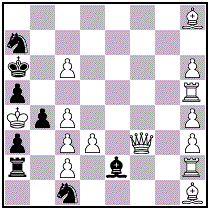 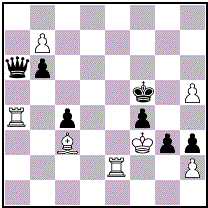 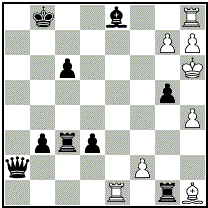 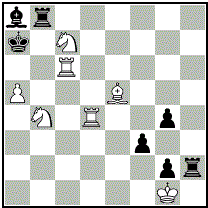 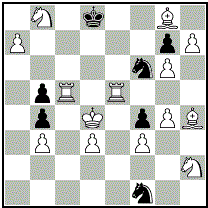 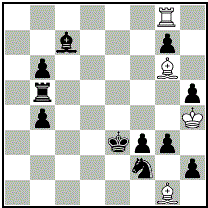 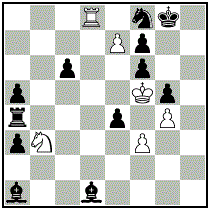 2.Sg6/Sxe6# 1.Sb6? 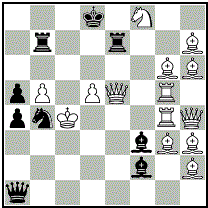 exd5! 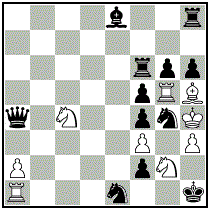 2.Sxd5# 1.Dd8/Dc7? 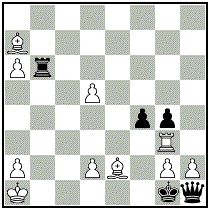 Lg4/Tg4! 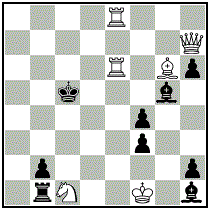 2.Sc5/Sxe5 h5/dxe5 3.Lg5/Txd4# 1.Da8 (2.Sb6 3.Sc4) Tg4 2.Sxe5 (3.Sc4) dxe5 3.Lb4 and 1...Lg4 2.Sc5 (3.Se4) dxc5 3.Le4 and 1...exd5 2.Da5 3.Kb4. 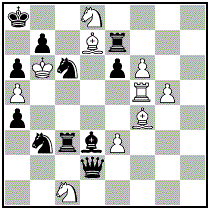 Critical moves by WR and WB lead to 3rd move Grimshaw. 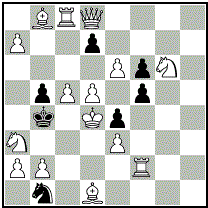 Also good byplay.